You get a modern training tool for an optimal sprint and plyometric training. The Sprint Parachute is a parachute which is pulled by the athlete. Short click the supplied belly strap and off you go. 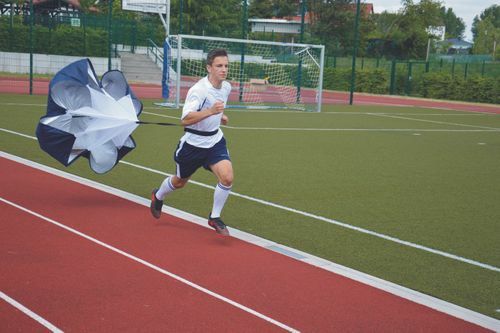 The Sprint Parachute allows the athlete to sprint at a constant resistance, to achieve an optimal training effect. 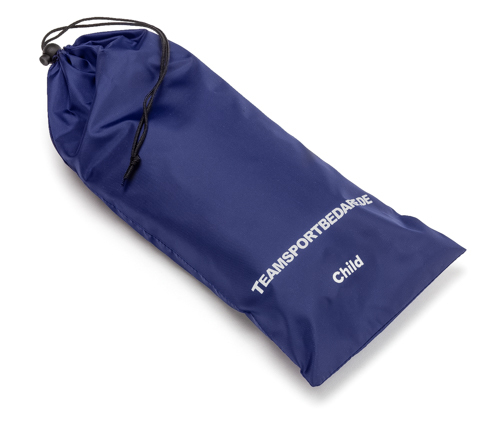 The athlete can train with 2 parachutes simultaneously depending on the training goal. It can be used in several sports. You will receive a Sprint Parachute including waist belt (see graphic). 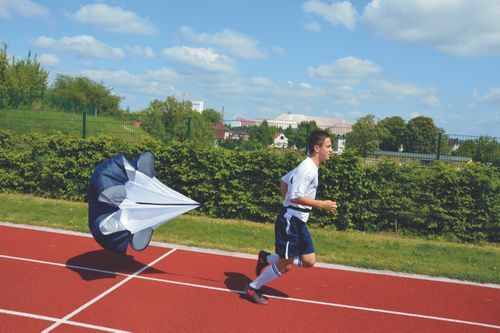 The Sprint Parachute is a super support for a modern and innovative training. The matching application exercises can be found in our training catalogue. Dimensions: 142 x 142 cm (L x W).